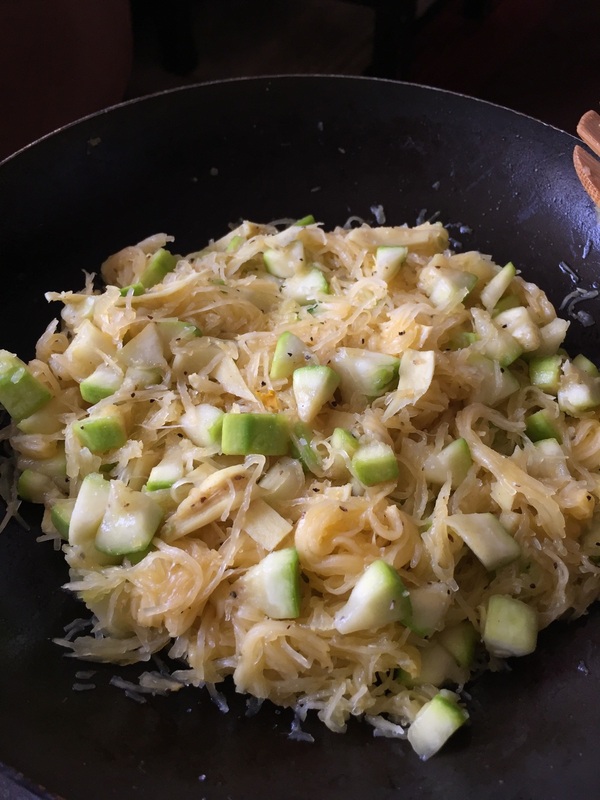 How many of you are jumping on the spaghetti squash bandwagon? It's wonderful until you sadly realize that it's never really going to have the same flavor profile as spaghetti. I started experimenting ways to make spaghetti squash pop on its own. Think fresh ginger slices, coriander & cumin, tossed with crunchy bites of zucchini... yes, you need this recipe! 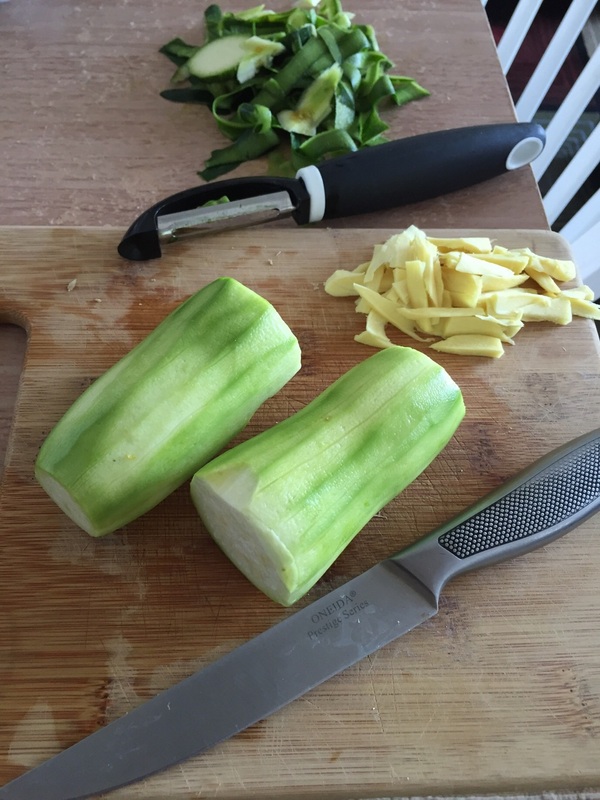 Peel & dice the zucchini into small cubes. Peel the outter skin off of the ginger & slice it into thin strips. In a medium frying pan, heat oil to medium heat & add the zucchini, ginger, cumin, & coriander. Toss for a few minutes (~3) so the ginger infuses the zucchini. Add spaghetti squash, salt & pepper. Toss to incorporate all ingredients. Enjoy cool or warm, up to you!